At the end of 2016, the National Institute of Statistics and Information (INEI) released some uplifting information. 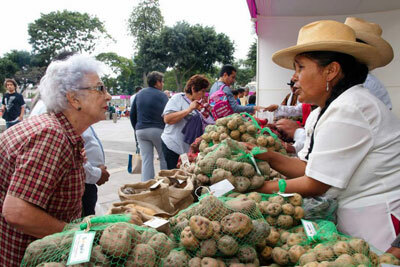 Average incomes in the Lima region has increased for both women and men, by 6.6% and 3.8% respectively. Not quite. According to INEI, females in Lima, Peru are still earning just 70.5% of what their male counterparts earn. This means that while men are earning an average monthly income of S/ 1,881.10, women take home just S/1,345.10, a difference of S/ 536.10. Certainly not a localized problem, difference in salaries has for some time been an issue of racism and sexism worldwide. Ageism in the workplace has also been on the rise. According to INEI’s statistics, those 45 years and older saw no change in salaries, however those in the age group 25-44 years saw the biggest leap, with a 5.4% increase in pay. Again, these numbers pertain to Lima. Industries with the biggest gain in 2016 included: manufacturing (8% increase) and construction (6.4%), which also reported the highest average monthly income (S/1,978.20).